It was another 4-year project, but I finally finished the red version of Joe’s Garden! 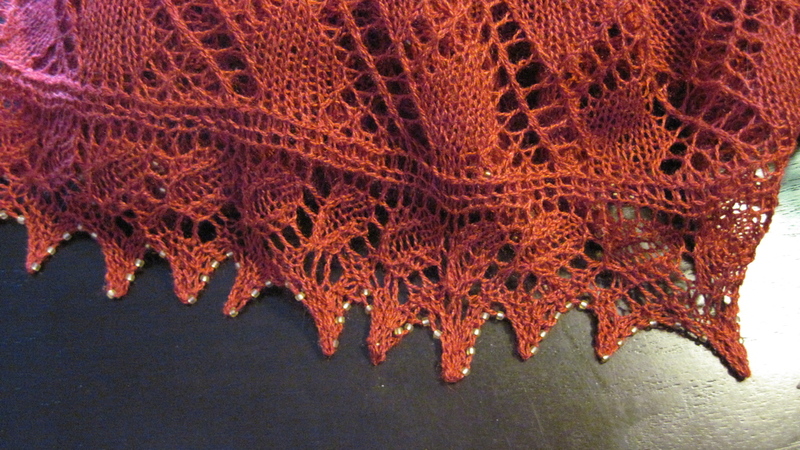 It is made with a single continuous strand of JaggerSpun Zephyr Wool-Silk 2/18, and I have 36 grams left, which by my calculations, is about 400 yards. 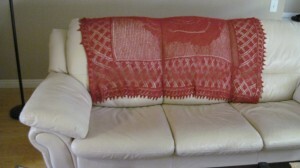 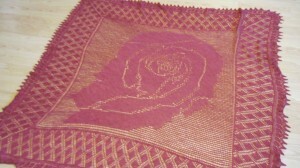 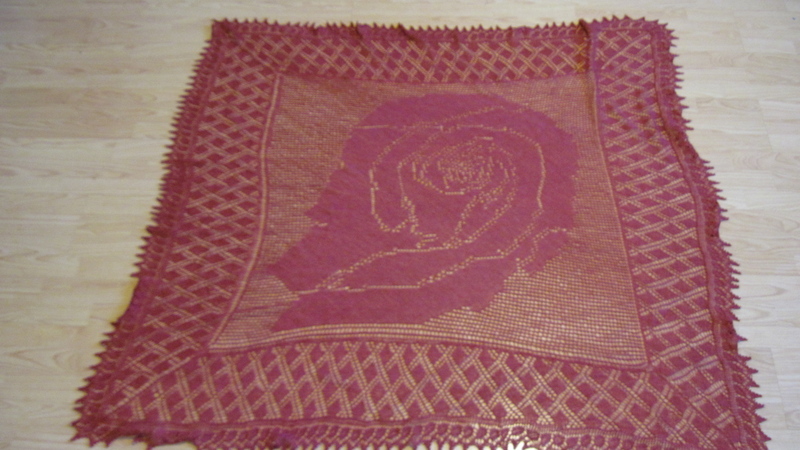 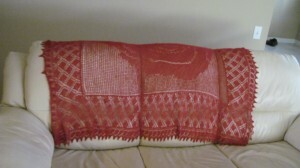 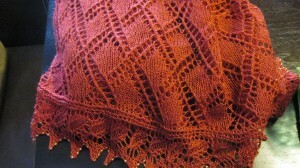 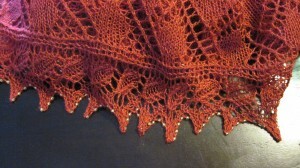 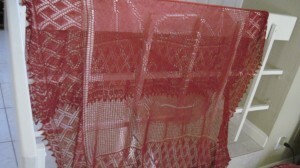 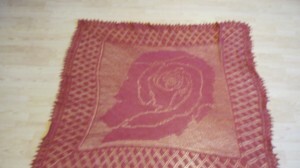 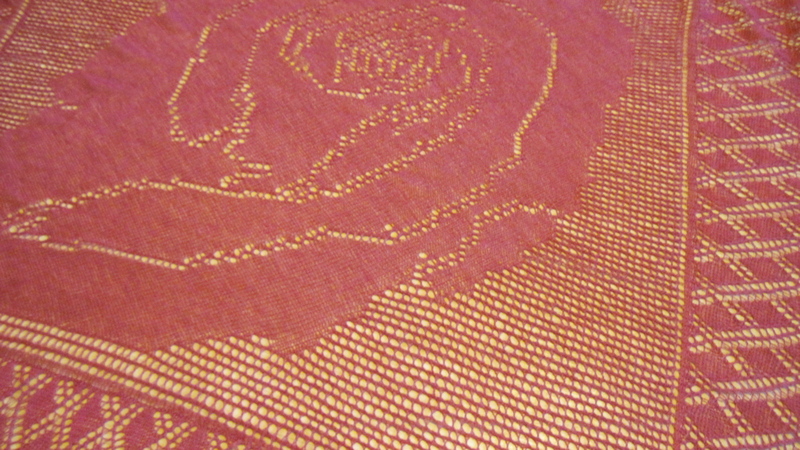 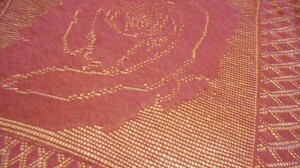 The beads are gold glass seed beads, and there are about 680 of them on the whole shawl. It measures about 6′ across. 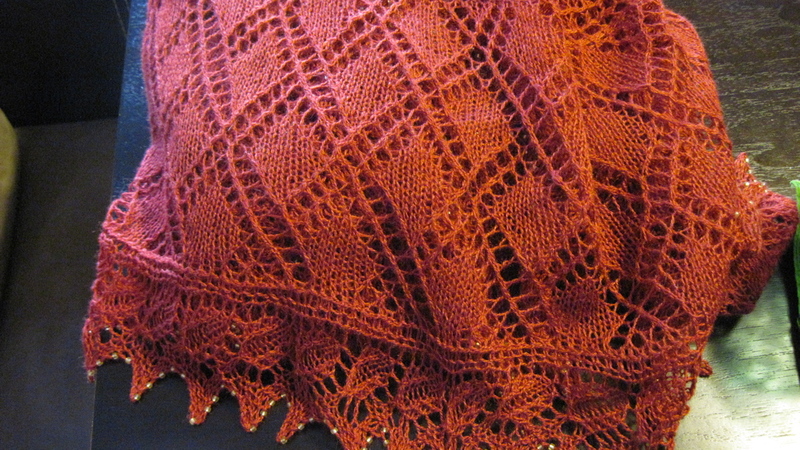 A Year-Long Project is Complete!